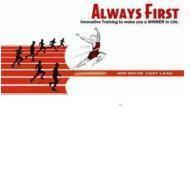 Always First conducts classes in Corporate Training and Personality Development Training. It is located in Anna Nagar East, Chennai. It takes Regular Classes- at the Institute.